Yokneam, Israel 27-May-2015 – Compulab is expanding the popular fitlet mini-PC product line with the new fitlet-H – a hardened fanless mini PC with an all-aluminum housing. fitlet-H comes with a 5 year warranty. fitlet-H is built around the 4.5W quad-core AMD A10 Micro-6700T with Radeon™ R6 Graphics, clocked up to 2.2 GHz with up to 16 GB RAM. Multiple storage options are present in fitlet-H – internal 2.5” hard disk, mSATA port and micro-SD. RAM and storage are accessible through a one-screw service door. For networking fitlet-H incorporates dual Gbit Ethernet ports, WiFi and support for mobile data communication with on-board micro-SIM socket. fitlet-H has excellent multimedia capabilities with dual HDMI and multiple audio interfaces – S/PDIF, line-out/in and HDMI audio. 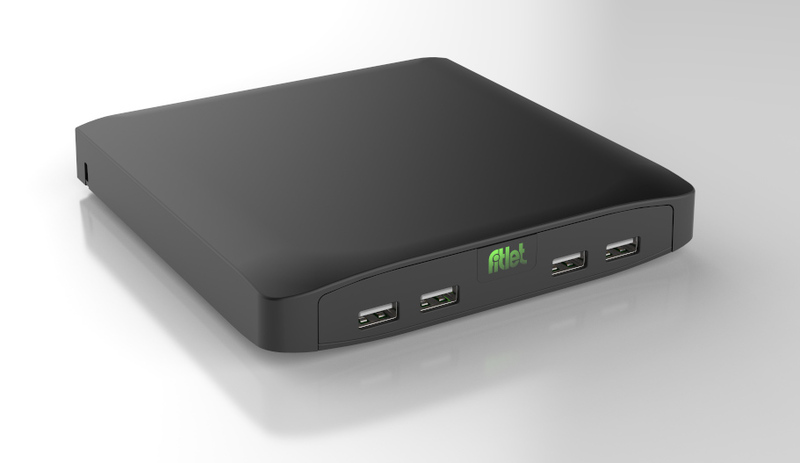 Connectivity of fitlet-H includes 8 USB ports (2 USB 3.0) and a serial port. In the tradition of Compulab mini-PCs fitlet-H functionality can be extended by FACE Modules (Function and Connectivity Extenension Modules). Several FACE Modules are available from Compulab. Design guide and reference designs are publicly available to allow buyers to design their own custom FACE Modules. fitlet-H also incorporates two accessible mini-PCIe sockets. 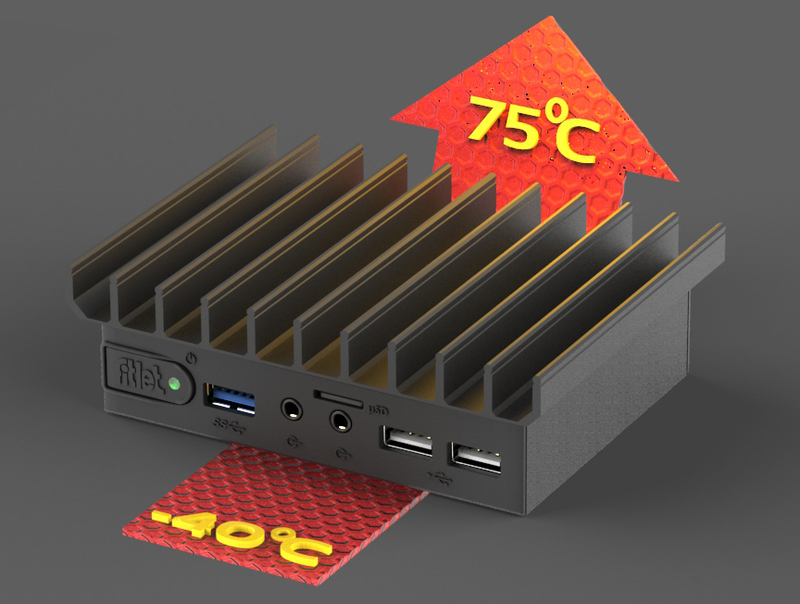 fitlet-H is suitable for harsh environments thanks to its passively cooled all-metal housing design. It has more thermal headroom than other fitlet models. This allows operating the CPU at full load continuously regardless of environmental conditions and installing high-performance storage devices and extension boards. Higher memory capacity, internal hard disk and multiple extension options enable more flexibility in integration. fitlet-H Barebone is available now for pre-ordering from Compulab priced $436. For volume pricing please contact Compulab sales.